How do I convert a Task into an Assessment? 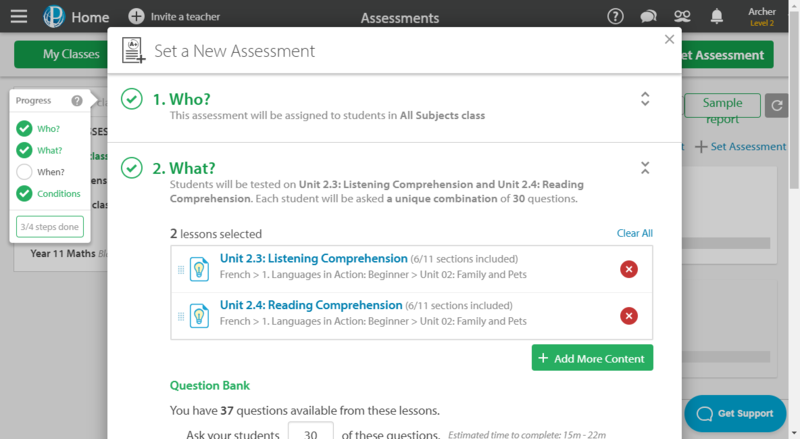 You're able to set up an Assessment from a Task that you've assigned to your students at the click of a button. The following article explains how to assess your students on an existing Task. To find out how to set a task, check out our article How do I assign a task? Go to the Tasks & Homework section of your Control Panel and enter the Progress section of a Task. Select the Assess students on this content button. 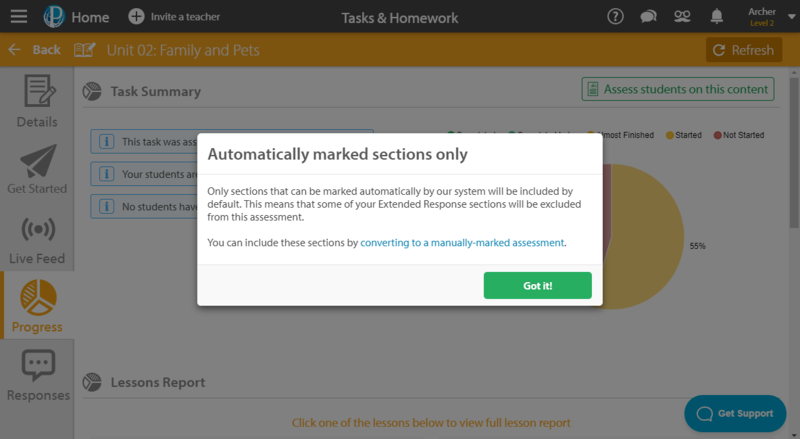 A dialogue box will then appear warning you that only automatically marked content will be assigned to your students in the new Assessment. Choose either option and then select Got It! to confirm. For more information on the difference between automatically marked content and manually marked content, you can read through our article What types of questions are in Education Perfect? You will then be able to review the settings for the Assessment and make any necessary changes. For a full guide on assigning Assessments, check out our article How do I create and assign a Quick Test?